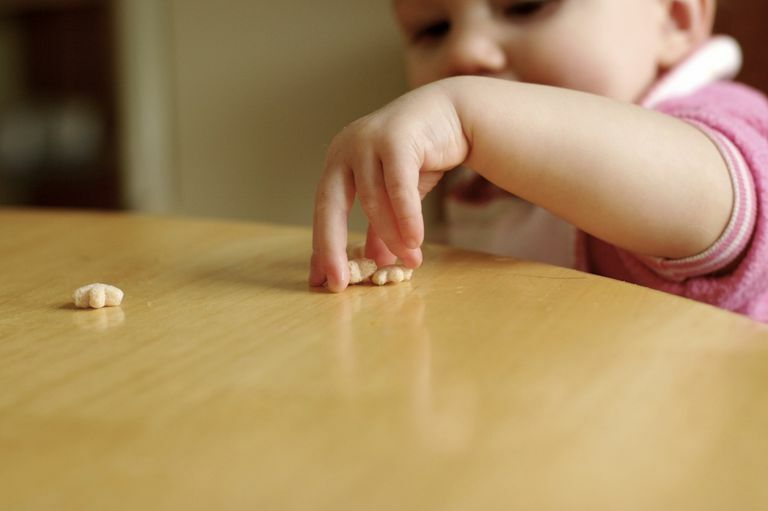 Once your baby is ready for finger foods, it will open up whole new dining opportunities. Your baby will begin exploring new foods on her own. Just be sure you follow health and safety tips as you prepare these easy and simple finger foods for your baby. Bon appetit! With veggies, you pretty much will need to steam and soften them all at first. Depending on the vegetable, it may be necessary to peel them as well. Keep your chunks small enough and the food firm enough to maintain shape as your baby grabs onto it. You might be surprised to read some of the foods on this list, like eggs and fish. Recently, the AAP has released new guidelines on when to introduce certain foods. Essentially, the only foods that should be delayed for all babies are those which are choking hazards and honey. Talk to your pediatrician regarding his or her thoughts on when your baby can have each of these foods.